Singer-songwriter Carter Winter recently found himself in a prestigious place for a rising artist, as the only country artist on the performer lineup as part of JAY-Z’s Made In America festival in Philadelphia. Winter recently signed on with JAY-Z’s Roc Nation. The deal includes both publishing and an album. 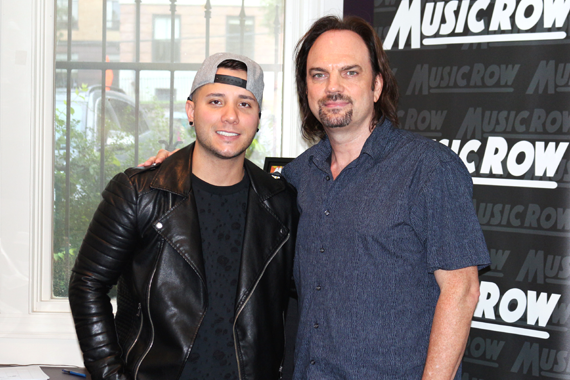 Winter recently visited MusicRow to offer a live performance of several tracks, including some he is considering for his next project. He offered takes of “Lipstick On My Bottle,” and “Skylines,” as well as “Chaser,” which includes writers Sarah Butler and Chad Carlson. In 2016, he released his sophomore album The Whiskey In Me, which was produced by Mark Bright and Chad Carlson. The album hit No. 4 on iTunes and No. 34 on Billboard’s country albums chart. He is working on a follow up album now. Winter is also the face of Durango Boots, with his own line of boots coming soon. 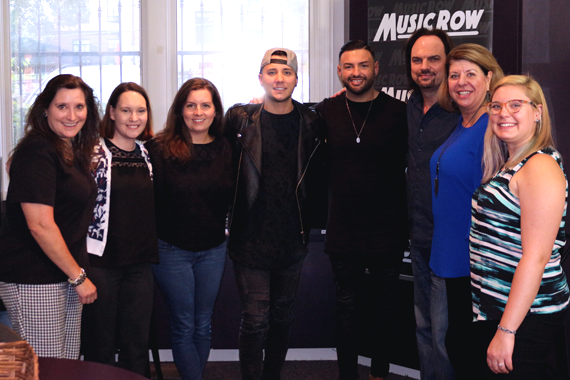 Carter Winter with MusicRow staffers.